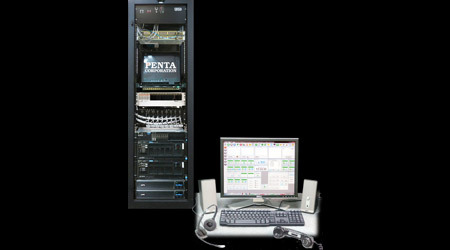 Penta Corp. offers Penta Media eXchange (PMx), the company’s next-generation, IP-based digital communications system. Penta Corp. offers Penta Media eXchange (PMx), the company’s next-generation, IP-based digital communications system (see above photo). Based on open standards IP telephony, Penta PMx is a highly scalable voice communications system with redundant servers and uses host media processing for all core switching and processing, Penta officials said in an email. With Penta PMx, no digital bus or digital signal processor cards are used for circuit connections, conferencing or processing; instead, the system features high-powered, redundant commercial off-the-shelf servers running Linux OS. Options include Voice Over Internet Protocol (VOIP), Session Initiated Protocol (SIP), digital T1, digital E1, Primary Rate Interface ISDN (PRI), as well as analog interfaces. The PMx can interface and control IP, TDM (time-division multiplexed) and analog networks — including legacy radios, intercom circuits, radio over IP, radio and telephone using SIP, and other interfaces. Consoles do not need to be located in the same facility as the servers because audio and control data are carried over the customer provided network, the company said. Screens, resources, circuits and user permissions/authorities are controlled and configured via the Penta Data Center web-based configuration tool. 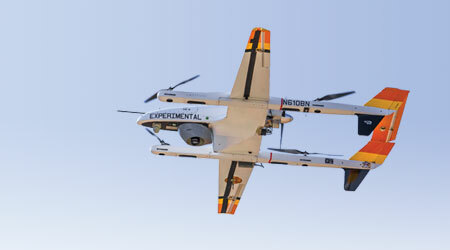 PS Technology offers CrewPro Short Line, a mobile crew management application for small railroads based on digital Class I crew management techniques. In a joint effort with Norfolk Southern Railway, PS Technology is “rewriting and modernizing” its system and making portions of it available from the cloud via subscription, the company said in an email. 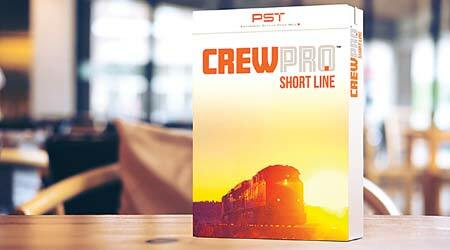 PS Technology’s CrewPro Short Line is a mobile crew management application designed for small railroads. CrewPro Short Line combines a range of railroad business functions, including employee tie-up with FRA certification and auditing, and pool management for extra or scheduled (assigned) jobs. 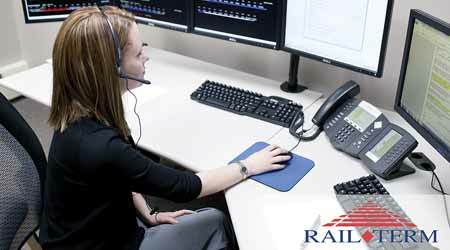 For railroads running pool trains, the application enables dispatchers to establish real-time work lists that display trains/jobs, and potential crews that can be called for duty — including who’s been assigned and if they can be called, if they’re due to rest, their qualifications and status availability. The application also manages employee qualifications and notifications of pending expiration, including managing layoffs and markups to get the most out of available manpower. RailComm LLC’s DOC® (Domain Operations Controller) is an advanced command, control, communication and information platform that supports a variety of integrated solutions for indication, control, access and distribution of critical operational data across a railroad. 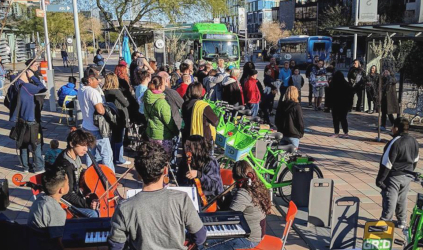 A Software as a Service solution, DOC is used by more than 80 organizations, ranging from short lines and short-line holding companies to metropolitan transit agencies, the company said in an email. RailComm LLC’s DOC® (Domain Operations Controller) is a Software as a Service solution used by more than 80 rail organizations. DOC can be deployed as an on-premise, customer-managed software solution or provided as a cloud-based managed hosted solution. It uses secure and redundant data centers for reliable and, if desired, centralized 24x7 dispatching operations. Compliant with all relevant regulatory requirements, RailComm’s dispatching solution also adheres to the FRA Type Approval Positive Train Control (PTC) E-EATC systems used by many short lines and passenger railroads, the company said. 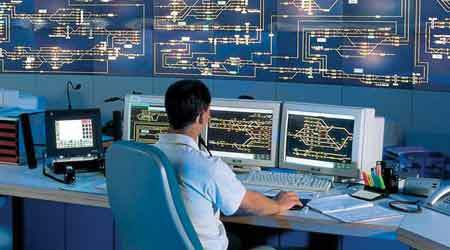 RailTerm’s TrainMaster dispatching software integrates centralized traffic control (CTC), dark territory, yard control, bulletin management and various rule sets into a single package. Typical functions — such as automatic route setting, trackline displays, train sheets and authority control — are provided within a single, intuitive user interface, the company said in an email. Supplemental tools such as OS reports, real-time trackline displays, playback, logs and technician tools are delivered via a web portal to enable stakeholders to access relevant information in a timely fashion. 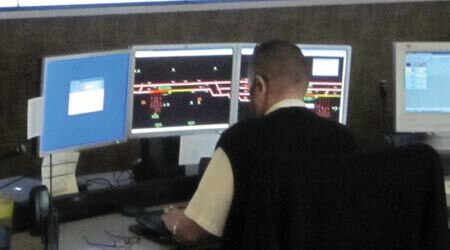 Shown: a RailTerm dispatcher using the company’s TrainMaster dispatching software. RailTerm also develops specialized software for Master Front End Processors, grade-crossing monitoring, GPS-based automatic rail vehicle location and supervisory control and data acquisition (SCADA) applications. The company also offers a compact, standalone version of TrainMaster CTC for local control systems. The CTC technician’s portal provides the signal technician with real-time alerting and reporting on a number of elements of the CTC, communication and grade crossing warning systems to help them diagnose anomalies quickly. The company also has implemented “carrier diverse private long-term evolution networks for dispatching systems that perform at least as well” as private communications infrastructure, and with a faster installation and a comparable operating cost, company officials said. Siemens Rail Automation’s dispatch solution is designed to meet transit authorities’ and freight railroads’ needs in signaled and unsignaled territories. Applications are integrated using a common database, user interface and communications backbone; the system enables multiple redundant schemes and disaster recovery architectures. Data can be entered into a running system (online activation) without a system rebuild, the company said in an email. Siemens Rail Automation’s dispatch solution is designed to meet transit authorities’ and freight railroads’ needs in signaled and unsignaled territories. The system enables trains to be routed automatically or manually. In addition to managing NX and stored/stacked routing, dispatchers can execute a preconfigured trip schedule, create or modify movements in the scheduling tool; they also can invoke the system’s Rail Traffic Optimizer planning capabilities. Scheduling is organized around daily schedules and comes with full schedule editing capabilities. Train Tracking follows reported track occupancies and associates train identification with moving objects. Special control functions include dual control signal, auto reclear, fleeting, direction override, signal overrun indication, switch control and local/remote control. The system supports field blocking of tracks, signals and switches. The dispatch system also can interface to a PTC back-office server and support functions such as train initialization, PTC mandatory directives and dispatcher messages. 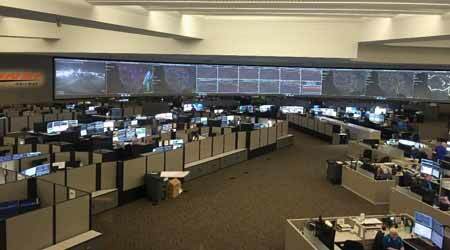 Wabtec Corp.’s Train Management and Dispatch System® — TMDS® — is a next-generation control office solution to support “21st century business needs, scalability and growth,” according to the company. TMDS is designed to give customers “complete control over the solution and supports future growth, including PTC,” the company added. In 2004, Wabtec partnered with BNSF Railway Co. to develop a system that could be quickly customized with specific features to meet the Class I’s operating rules and safety initiatives. BNSF leveraged the integration of wayside technology coupled with the TMDS Track Warrant system to reduce accidents in non-signaled territory using both monitored and remote-controlled power switches, as well as track circuits to indicate occupied fouling points or potentially broken-rail conditions in non-signaled territory. TMDS is used to create or modify 190,000 track authorities, 5.4 million route instructions and 11.1 million train tracking events per month. At BNSF Railway, Wabtec’s Train Management and Dispatch System® is used to create or modify 190,000 track authorities, 5.4 million route instructions and 11.1 million train tracking events per month. TMDS is a client-server methodology that is straightforward and simple to operate and maintain, the company said. The approach includes high-availability server redundancy and replication for mission-critical rail operations. The workstation and server hardware platforms can use any Intel-based, off-the-shelf hardware. TMDS segments critical system functions into manageable services by employing object-orientated programming techniques that allow for simple, quick migration for growth and future enhancements. Wabtec continues to work closely with BNSF to adapt the products to new technologies and integration points, which “increase awareness and provide increased efficiencies to the operations,” Wabtec officials said. Walter Weart is a Denver-based freelance writer. Email comments or questions to prograil@tradepress.com.